JamIn UK Parish Ambassador program is an international project that is creating greater links between young people of Jamaican heritage to those in their parish in Jamaica, with aims of encouraging investment and capacity growth within Jamaica and mobilising the youth diaspora and wider diaspora in the regions. In 2013 We conducted a survey and discovered that there are two types of people living in the diaspora, the first type already support their programs in Jamaica but need more help, the second don’t have any links but would like to support Jamaica. We discovered that within the UK there are many people whose families come from a particular parish, even 2nd, 3rd and 4th Jamaican young people were nostalgic about Jamaica and had a knowledge of where their families came from in Jamaica and wanted to find a way to support it but didn’t know how. In the UK we have created individual partnerships with each Festival Queen in Jamaica and have recruited from across the UK young leaders, team leaders, teams, volunteers that will invest and support each of the parish programs. 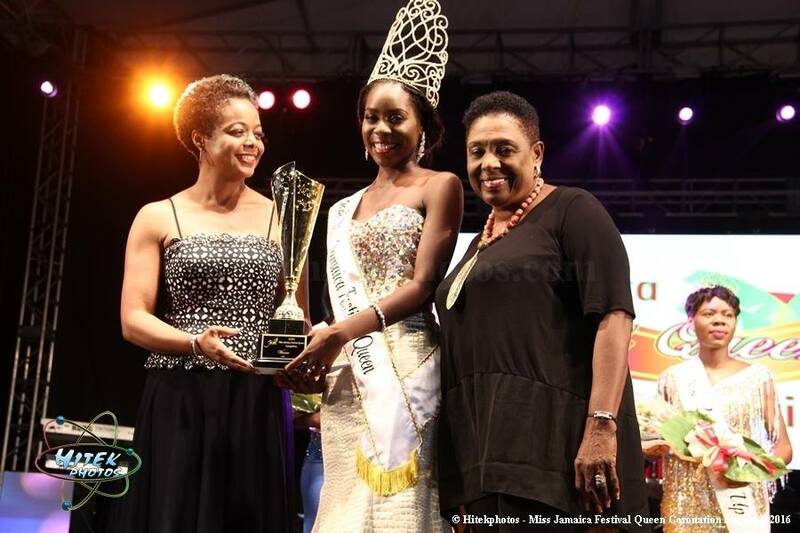 Ackera Gowie, who represented St Mary, is the new Miss Jamaica Festival Queen for 2018/19. Finishing in second place was Shantae Grant who represented the parish of Hanover. Third place went to Chris-Ann Douglas from St James. PROFILE: Miss Dainalyn Swaby is the 2017 Miss Jamaica Festival Queen. She holds a first degree in Integrated Marketing Communication from the University of the West Indies, Mona. As a communication practitioner, Dainalyn has been trained in a number of disciplines, including Customer Service, Public Relations and Social Media Management, while flexing her oratory muscles in both Government and Non-Government Organizations. This passionate, yet elegant young woman, embraces a modern mind-set even as her values are steeped in tradition. Projects ‘LEARN. EARN. RETURN’ aims to improve the capacity of youth to identify sustainable opportunities and develop complementary skills to build economic resilience. This initiative will cultivate a culture where youth become job creators and not job seekers. Youth need to be equipped with the necessary entrepreneurial skills and develop business acumen for them to become self-sufficient and generate their own economic opportunities. The Project coincides with goal 8 of the Sustainable Development Goals, Decent work and Economic growth and our own Vision 2030 goal of making Jamaica the place of choice to live, work, raise families and do business. The project is geared towards positioning young people as business leaders within their communities. The project will employ an inclusive strategy, incorporating various stakeholders to establish linkages between partner organizations and project beneficiaries. Project ‘LEARN. EARN. RETURN.’ is designed to be replicable in communities and parishes across Jamaica. To partner with organizations that can equip youth with entrepreneurial skills to generate sustainable opportunities. To host entrepreneurship sessions across select communities to develop business acumen among youth. To create four entrepreneurship categories for youth to generate business opportunities and realize profits. To develop and improve soft (writing and communication) skills to complement entrepreneurship skills. To identify “business mentors” to provide guidance and support to youth with startup businesses. I.Assess and identify the literacy strengths and weaknesses of each student within four weeks after the launch. II.Promote literacy in a fun and engaging way through the performing arts and social activities. PROFILE: Kayan is a 25 year old determined and charismatic individual who is involved in a number of projects including: eMotion Jamaica, Motivate Ja, 26 and 27 Acts of Grace, Mandeville Youth for Christ, Miss teen Manchester, Model United Nations Club of UWI Mona and Behind Her Lipstick. The intention is that by age 30, with proper time management and years of investment in the brand, I will be a successful entrepreneur and media personality. The project for Hanover is dubbed “The Remedy”. It is one that seeks to use the arts as a methodology to correct and prevent delinquency in our teenagers, which often times cause them to become unattached. PROFILE: Olivia is a youth leader and active advocate for women within her community. She is the founder and director for a women’s empowerment group entitled ‘Women of Destiny, Ja’. She is a genuine believer in love and hence exudes love to everyone. She is passionate about social development and hence her active interest in her community. This is a registered non-profit, community based organization that focuses on women empowerment. ‘Women of Destiny, Ja’ aims to empower marginalized women between the ages of 13 -35years, in fulfilling their purpose through a series of weekly motivational sessions, job opportunities, skills training opportunities, mentorship programme, outreach projects and excursions. Women of Destiny, Ja was started in August 2015, with an official launch in October 2016 and has been actively hosting weekly sessions. This group was started as it was noticeable that women within the inner city community of Mt. Salem, were in dire need of encouragement, upliftment and ultimately a greater purpose. It aims to provide the women with a safe haven through which they can share, grow and fulfil their God- given purpose. The organization has seen success stories of women returning to work, and others being provided with skills training. 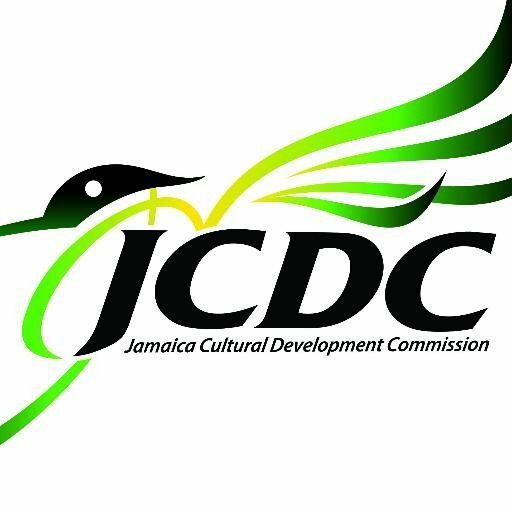 Women of Destiny, Ja works closely with the (CSJP) Citizen Security and Justice Programme, (SDC) Social Development Commission, Mt. Salem CDC, Mandingo Youth Club, St. James Youth Leaders, Youth Information Centre (YIC) and other youth and service clubs, in order to attain their mission and goals. knowledge and expertise to the future generation of nation leaders. It will target women between the ages of fifteen to twenty- nine (15-29) years as mentees, and fifteen (15) mentors from diverse areas of expertise; pairing two mentees to a mentor. The programme will last for a six (6) month period December 2017- May 2018 with a total of six (6) sessions to be conducted during this period. The aim of the project is to bridge the gap between women of prominence within the parish and young women who aspire to become successful as well. ❏To provide guidance to the future successful women in society. ❏To cultivate more women of excellence in society. ❏To provide an opportunity for young women to be guided by their role models with a more hands-on approach. I am Josselle Fisher, a passionate, determined 22 year old. I am from the community of Waterford in South East St Catherine. As a student of the Wolmer’s Trust High School for Girl’s I participated in clubs and societies like ISCF, Drama, Choir and Debating, however the activity that lead most to my self-awareness and development was dance. I was introduced to ‘creative folk’ at the age of 13 through the Institute of Jamaica East Street Junior Center’s evening programme. Since then, even as a pharmacy student, I strive to afford others through tutoring and mentorship, the experiences I’ve received. Transforming St Catherine through Cultural Heritage and Awareness aims to increase involvement in clubs and societies in their communities, and an overall increase in awareness of St. Catherine. This is to take the shape of a launch, featuring students of various high schools and includes specific intervention in collaboration with the artistic and guidance departments of these schools as well exposure to the various historical and heritage site of St. Catherine , for example Sligoville, to highlight the parish’s role in Jamaica’s development. PROFILE: Daina Dyer is a motivated and creative 25 year old queen on a mission to make a change. She is an entrepreneur, social media manager, beauty therapist and currently training to become an educator. In an ever changing world, our young men need the proper guidance to choose the right path that fuels their passion, proves to be financially beneficial and allows them to contribute positively to their communities and society at large. Being an all-around success takes academic, personal, career and leadership skills in the 21st century. This is why the Project: Young Men Empowered in partnership with Ignite Male Mentorship Programme, a Governor General I Believe Initiative Project, for which I am the Empowerment Director was conceptualized. Over the years, youth underachievement, specifically young men, has been a topical issue in St. Catherine, as many youths in today’s contemporary society, lack role models, suffer though peer pressure, are being bullied and most importantly, lack parental support. With that said, it is my intention to have four, 3 hour sessions covering empowerment, grooming and resume/professional coaching with 80 young men between the ages of 17-19 years old in 4 high schools, across the parishes of Kingston & St Andrew, namely, Dunoon Park Technical High, Meadowbrook High, Clan Carthy High and Vauxhall High, within a three (3) week period. And the end of the three (3) weeks, there will be a closing out ceremony where students will be engaged in final discussions, project review questionnaires and all will be presented with certificates of participation. 4.Understand how to properly groom themselves as a young man. I am a 24-year-old hard-working, devoted, god-fearing and multifaceted individual with an Upper 2nd Class Honours Bachelor’s Degree of Education in Music from The MICO University College. I am a very active teacher of the Titchfield High School where I educate students of grades 7- 11 through Music, Traditional Folk Forms and Football. I am also a Guider of the school’s Girl Guides Association and live my life guided by the lyrics of Aaliyah’s Try Again, "If at first you don't succeed, dust yourself off, and try again." My project is a youth, community and educational development programme fulfilled through the ‘Boundbrook Youth Community Club’. It caters to developing educational and social aspects of young people ages 10 to 35 years, residing in the Boundbrook and surrounding communities. The educational aspect seeks to improve the literacy and numeracy skills for students sitting the grades 4, 6, and 11 examinations while the Social aspect allows for participating in JCDC competitions (speech and drama, music, and traditional folk forms), forming a music band, touring of historical sites within the parish, conducting outreach and beautification projects, and developing and competing in football, cricket, netball, table tennis, and domino tournaments. 1.Providing an arena for attached and unattached youths ages 10-35 years from Boundbrook and surrounding communities and developing their self-esteem. 2.Improving literacy and numeracy skills to be successful in examinations. 3.Giving young people a medium to express their talents through drama, music, sports, dance, speech etc. 4.Developing young people, holistically to become parish ambassadors, to become knowledgeable of historical sites and eventually become positive assets to Jamaica. My strongest quality is determination as through hard work I have defied many limitations that many individuals have set for me. I am passionate about education and youth empowerment which serves as a navigation for living my life. “Exceptionalities” is an initiative that invites experts in all fields to give back to a group of youth through mentorship; to facilitate transformation of behaviour. The project seeks to engage influential experts that are natives of St Thomas from different areas including music, dance, entrepreneurs etc. Two students will be selected from six (6) high schools in St Thomas; students who are considered to be low performing student or students with behavioral problems. “Exceptionalities” will provide the forum for students to speak freely about the issues that they face in order to find solutions through the experts. The following schools will be targeted: Morant Bay High, St Thomas Technical High, Seaforth High, Yallahs High, Robert Lightbourne High and Paul Bogle High. In addition to mentorship; mentees will participate in community based programmes and become volunteers as volunteerism usually redefines purpose and strengthens one's value-system. Meetings will be scheduled twice per month; one day for volunteerism and the other for Mentorship .Mentors will include: Sasha Lee (Entrepreneur and owner of Lee's Books and Things); Ian Fleming (Journalist); Rendell Allen(A.K.A. Rondell Positive, Gospel Artiste); and Tishauna Mullings (motivational Speaker and Life Coach). To engage and inspire youths to develop talents and skills, in order to create opportunities and wealth, through strategic planning networking and collaborating. PROFILE: I hold Honours Bachelor of Education Degree in Mathematics from The Mico University College. I am a past student of the Westwood High School. I am a teacher of Mathematics for grades 7, 10 and 11 at St. George’s College. My Philosophy is embedded in the words of Cullen Hightower, which states that the true measure of an individual’s worth is based on all the benefits others have gained through their success. I enjoy volunteering, advocating, tutoring mathematics, politics, education, public speaking. Education is often referred to as the key to success and has been of great focus for the government of Jamaica. However, our system has been plagued with social issues that hinder our students from maximizing on achieving desired educational goals and outcomes. (Manley) in one of his works explored the theory of effective education through social reconstruction and this is an approach that can be effective in combating some of the issues being faced by our current system. Hence, Empowerment through Education: Molding Minds (EM)2 is created to assist students in achieving educational success by enhancing their professional development through an exposure to empowerment sessions, academic training and socialization initiatives. Often times too our students struggle with understanding their identity and excelling after leaving school due to the lack of exposure to work experience or professional development training. The project will seek to enable students to understand ‘self’ and provide skills training. To develop students' soft skills therefore, improving their socialization skills. Driven, ambitious and confident are a few words that can be used to describe myself. I have a deep passion for leadership and volunteerism. Each day I continually seek avenues to build myself personally and professionally. At the same time giving service to my community, church, parish and ultimately Jamaica. The Smart up Jamaica programme is a project that was formed to focus on the holistic development of youths within the parish of St. Mary and Jamaica. The programme seeks to empower youths to rise above their expectations through increased awareness on how to make their dreams a reality. online website to facilitate on-going feedback, along with webinars and video conferences. 1.To motivate youths across Jamaica to set their dreams and seek avenues to achieve them. 2.To demonstrate to youths, the opportunities and career paths available within Jamaica and how to access them. 3.To teach youths how to prepare for an interview, resume writing and speech coaching. 4.To develop an awareness on how to matriculate effectively into university. 5.To assist youths on how to obtain scholarships. 6.To educate youths on the importance of being well-rounded through leadership, volunteerism and community involvement. 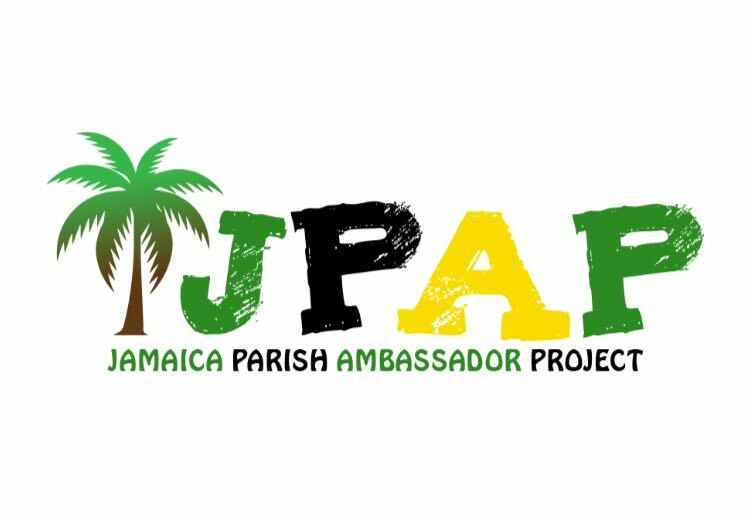 After the succesful implementation of Phase 1, the Parish Ambassador program will be engaging other youth bodies within Jamaica for both male and female ambassodors. Within Phase 2 we will also be focussed on the UK ambassador and team leaders travelling to Jamaica during the summer holidays to assist practically with the various parish projects in Jamaica. It is hoped that this will give the UK diaspora youth cultural, social and educational immersion through the volunteering opportunities and projects which will be geared at highlighting Jamaican’s rich heritage, it will also give the youth the opportunity to interact with Jamaican young people who have a different cultural experience and our aims will be to help them reconnect more to their roots. Phase 3 will be looking at replication of the model into the USA and Canada. Investment has already been made into two parish projects in Jamaica, namely for St Thomas and Hanover. Before the close of 2016 it is hoped that the program would have funded and supported all 14 parish programs. The Parish Ambassador role in the UK will last for two years, and seeks to have the same prestige as the Festival Queen competition that happens in Jamaica, generating greater knowledge of the island’s culture and the UK’s Black-British community. We are still actively recruiting volunteers!